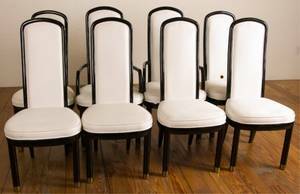 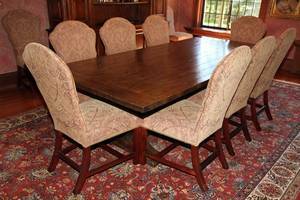 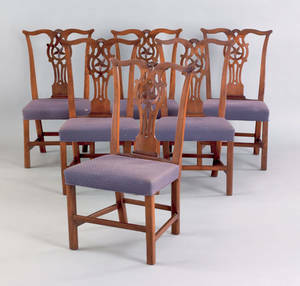 Each chair composed of mahogany with upholstered seat. 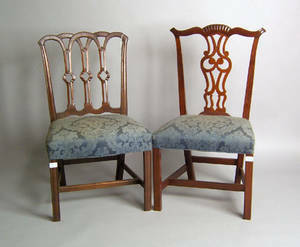 12 unmatched chairs of which: six are marked Henredon and matching side chairs with cream-colored upholstery; two arm chairs with matching brown-grey upholstery with red diamond pattern; two matching side chairs with cream marbleized fabric upholstery; two matching side chairs with cream colored upholstery. 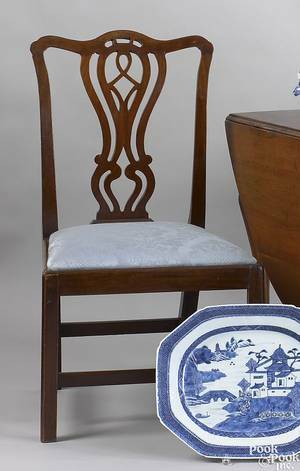 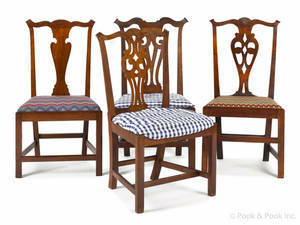 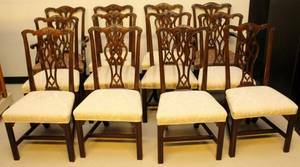 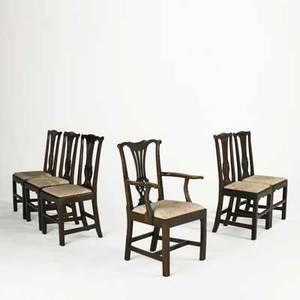 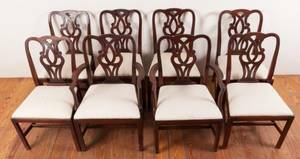 Six english chippendale dining chairs; assembled set in oak with upholstered seats, 18th c.; armchair: 37"" x 23"" x 20""
Set of six English Chippendale dining chairs, 19th c.